Start off your visit on the 26th (Fri): contemplate in the serene atmosphere at Sri Shirdi Saibaba Temple, contemplate in the serene atmosphere at Khandoba Mandir, contemplate in the serene atmosphere at Shri Saibaba Sansthan Temple, then take in the spiritual surroundings of Dwarkamai Masjid, then examine the collection at Dixit Wada Museum, and finally contemplate the long history of Baba's Chavadi. To see maps, more things to do, photos, and other tourist information, read Shirdi trip itinerary app . Hyderabad to Shirdi is an approximately 8.5-hour car ride. You can also take a bus; or take a train. In April, daily temperatures in Shirdi can reach 45°C, while at night they dip to 28°C. Finish your sightseeing early on the 26th (Fri) to allow enough time to drive to Nashik. Kick off your visit on the 27th (Sat): contemplate in the serene atmosphere at Saptashrungi Devi Temple Vani, explore the fascinating underground world of Sita Gumpha, and then admire the landmark architecture of Kalaram Temple. 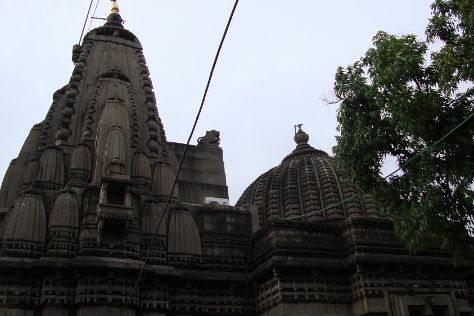 For traveler tips, ratings, and other tourist information, go to the Nashik trip itinerary builder site . Getting from Shirdi to Nashik by car takes about 1.5 hours. Other options: take a bus. Wrap up your sightseeing on the 27th (Sat) to allow time to drive to Lonavala. On the 28th (Sun), see the interesting displays at Celebrity Wax Museum and then get in on the family fun at Della Adventure Park. Keep things going the next day: get in on the family fun at Imagica Theme Park. Plan my trip to Lonavala with suggested itineraries provided by Inspirock. You can drive from Nashik to Lonavala in 3.5 hours. Alternatively, you can take a train; or take a bus. In April, daily temperatures in Lonavala can reach 39°C, while at night they dip to 27°C. Finish up your sightseeing early on the 29th (Mon) so you can go by car to Lavasa. A planned city, Lavasa is meant to resemble an Italian hillside town. 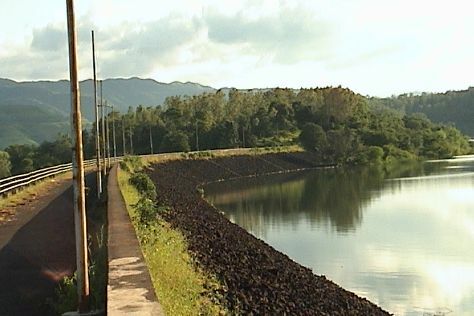 Start off your visit on the 30th (Tue): walk around Panshet Dam and then look for all kinds of wild species at Independence Point. For photos, ratings, where to stay, and more tourist information, you can read our Lavasa trip planner . Traveling by car from Lonavala to Lavasa takes 2.5 hours. On the 1st (Wed), wrap the sightseeing up by early afternoon so you can travel back home.